Getting ready for a dinner party can be tricky. You definitely don't want to underdress... but overdressing can be equally awkward. Our advice? Choose some chic accessories! It's the perfect solution to this classic dilemma. Jewelry, textiles and handbags can easily transform an outfit. 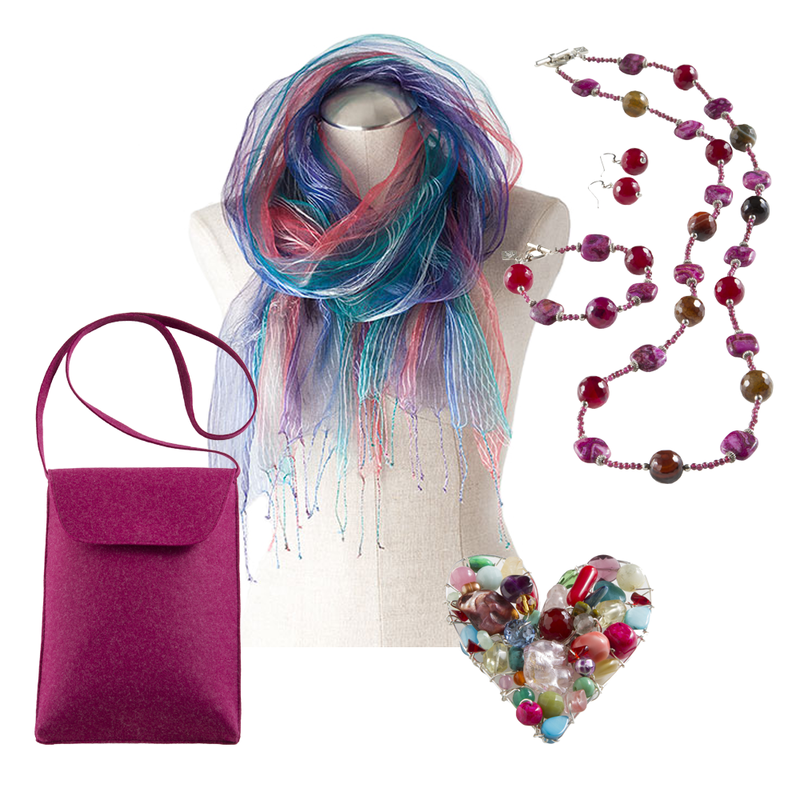 We picked a warm, berry-colored ensemble from our new Fall Collection to demonstrate... but feel free to peruse all of our accessories, we have many to choose from! What is your perfect dinner party outfit?